CasinoFair is the first white label to go live on the FunFair platform and you can play there now! It is run by a separate entity under the wider FunFair umbrella, TTM BV, and is accepting players from more than 20 countries worldwide. CasinoFair was the first casino to go live on the FunFair platform and if you’re in one of their allowed territories, you can play now for real FUN. More casinos will be going live in the near future. What is a Fate Channel? A Fate Channel is FunFair’s advanced version of a state channel. It is an essential component in delivering faster, fairer, more secure and lower cost gaming than other blockchain applications. By performing off-chain execution of smart contrats, the second layer scaling technology reduces delay and costs when playing blochain games, while also delivering real-time provably fair random number generation. Why do I have to use FUN? The FUN token is the native cryptocurrency of the FunFair ecosystem, powering every aspect of the protocol and platform actions. 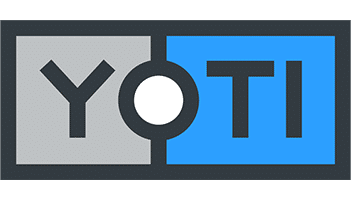 It was designed specifically for use with our protocols, smart contracts and Fate Channels and therefore, is far more efficient than other alternatives. How do I become a white label partner? We are currently rolling out a more formal process to become a white label partner to FunFair. For the time being, please email [email protected] with any relevant information and contact details. Where can I purchase FUN? FUN is available on various exchanges. You can find information on these here. We have two main offices in London, UK and Dublin, Ireland. The London office oversees the corporate, commercial and marketing elements of the business with Dublin overseeing our gambling software and product development arms. 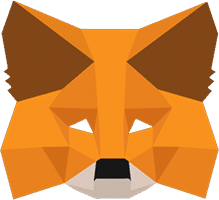 We currently use Metamask on the platform. We are constantly reviewing our wallet options and will be ensuring we can accept others in future versions of the platform. We are currently adapting our platform to be fully mobile-optimised. We’ll update when this goes live. We are currently available in English but we will be localising to various languages in due course. How many games are live on the platform? We currently have more than 13 games on the platform. These consist of highly visual, well-crafted titles that range across different genres, such as slots, table games, crypto-favourites and instant wins. We also have a third-party titles live in partnership with Spike Games, with more coming from Big Wave Gaming. You can play these games for real FUN now at CasinoFair. If you can't find what you need from the FAQ you can send us a message.